Christina (Swanson) Beasley is currently Principal Viola with the Arizona Opera (since 2005), and is also a regular member of the Tucson Pops Orchestra and True Concord Voices and Orchestra. Previous orchestral experience includes the Tucson Symphony Orchestra, the San Antonio Symphony, the Grand Rapids (MI) Symphony Orchestra, the Flint Symphony Orchestra, and the Michigan Opera Theatre Orchestra. In addition, Christina has held summer positions with festivals in Aspen, Flagstaff (Arizona), Spoleto (Italy), and Sunriver (Oregon). 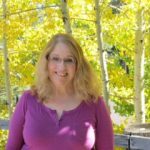 An avid chamber musician, she has spent nearly 30 years performing in and coaching small chamber groups, including leading the Huron String Quartet in southern Michigan and coaching at the Chamber Music in the Mountains summer festival in the mountains above Tucson. 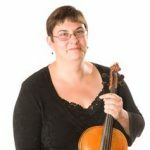 For two years in the late 1990s, Christina taught viola, violin, and chamber music at Northern Arizona University in Flagstaff. Christina earned her Bachelor of Music degree in viola performance from the Eastman School of Music, where she studied with George Taylor. She completed two Master of Music degrees (in viola performance and chamber music) from the University of Michigan as a student of Yizhak Schotten, and earned her Doctor of Musical Arts degree from the University of Arizona in 2003. In her spare time, Christina has also worked full-time as academic advisor in the School of Theatre, Film & Television at the University of Arizona (since 2003).